Xulhaz Mannan was violently murdered yesterday. 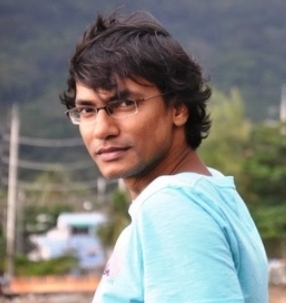 He was a Bangladeshi writer who edited an LGBT magazine, and worked for USAID in Dhaka. It’s a devastating loss – to the LGBT community in Bangladesh, and to the nation as a whole. Xulhaz was one of very, very few people in the country who spoke out on LGBT topics, and he has been killed for it. When I write about being brave enough to push back at your boss, or brave enough to insist on redesigning a program so it actually has impact even if people get mad at you, it’s easy to forget there’s a much bigger level of brave out there. It’s easy to forget that being brave means taking genuine, terrible risks. I don’t have a neat bow to wrap things up here. Xulhaz faced terrible risk for something he believed in, and it killed him. He deserved better. He will be deeply missed.